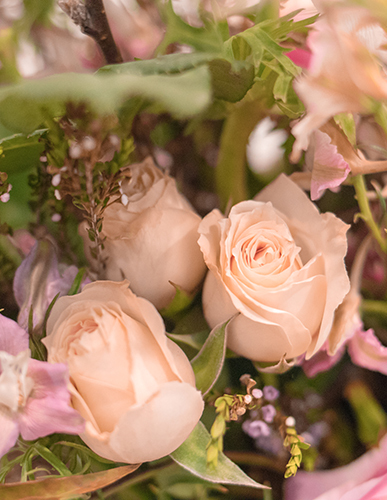 Spring romance is in the air and this week’s recipe is brimming with colors and textures sure to make you swoon! Starting with the ornate vessel; the Champion urn (SA50) by Accent Décor, lends an old world ethereal feel to the design perfect for setting the mood. 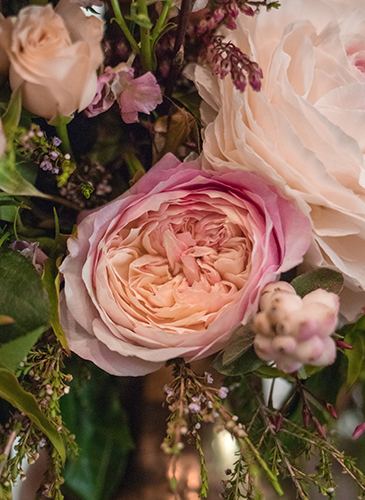 To provide a show stopping focal point; pink Rhone ranunculus (42305) from Japan were used. 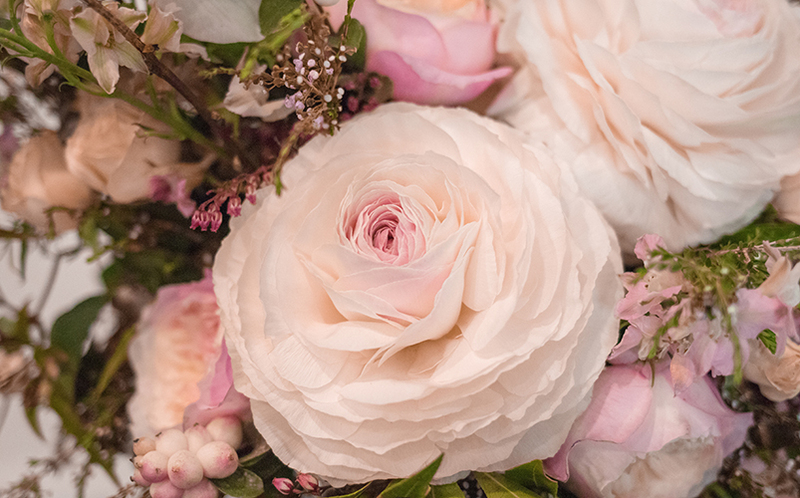 Their delicate paper like petals coupled with their sumptuous blush hue balance with the tones of pink highlighted by the pink Constance garden roses (37168). 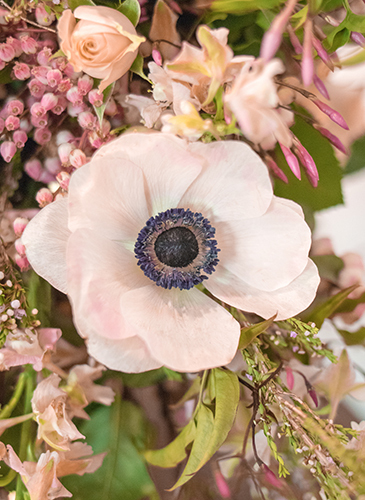 To add length, peach blossoms (53198) and pink larkspur (21084) extend from the center drawing the eye through the design. 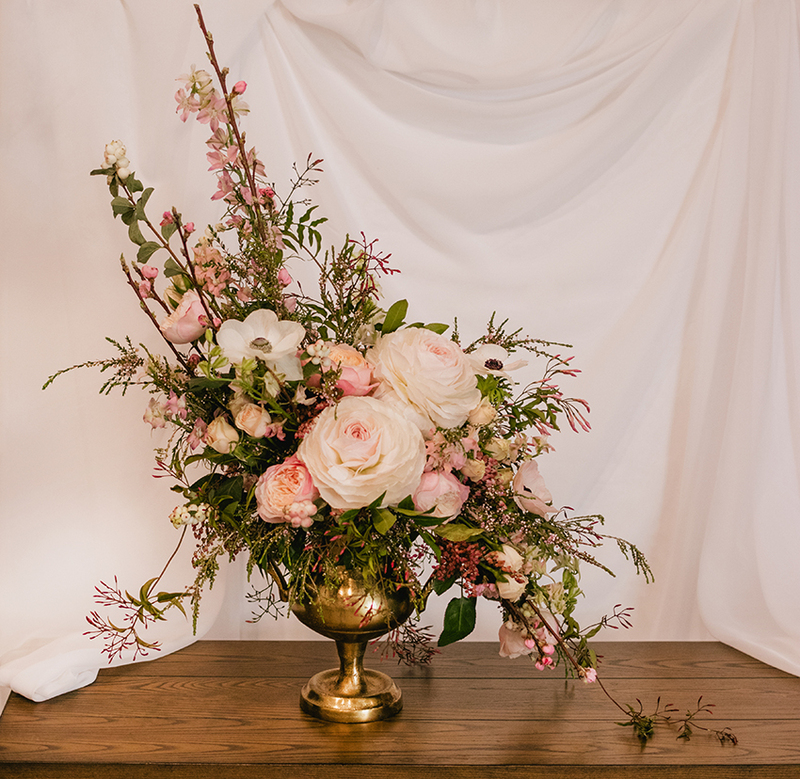 To brighten the design and provide a level of bulk, pink Irishka spray roses (23565) and pink Mistral anemone (49962) were utilized. 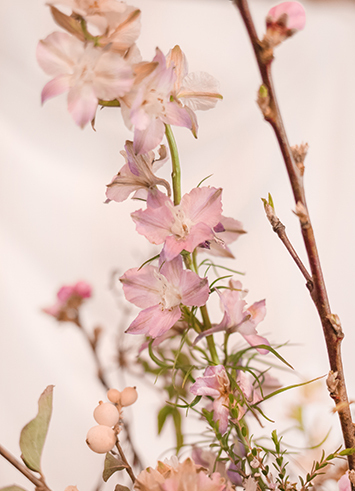 For layers of texture, pink Picotee snowberry (47326) and pink saxicola (21560) create that robust look. A level of drama was added with pink pieris (48620) and jasmine vine (35162) cascading from the rim of the vessel. With the first full week of Spring underway, we can’t help but get caught up in the romance of this week’s recipe!